We’re a team of innovators and tech geeks obsessed with making smart home products accessible to everyone. Our products are intuitive and easy to use, and we partner withour customers to add new features and continuously improve our products over time. We believe customers shouldn’t have to compromise – beautifully designed smart homeproducts should enrich people’s lives and be something everyone can afford. We launched our first smart home camera, Wyze Cam, in October 2017. We also have the Wyze Cam Pan, a pan & tilt camera. Community engagement is in the heart of everything that we do. It’s our way to help customers set up and use our products, and to gather feedback on how we can make them better. The social media marketing specialist is self-motivated and passionate about delivering excellent user experience through active user and community engagement. This person is passionate about building company brands and user communities on social media. This person will be responsible for defining social media strategies for launching and building smart home brands, including social media content strategy, engagement strategy to increase brand awareness and sales. You will also be responsible for driving user engagement, community building, community activities, and UGC (user generated content) management. 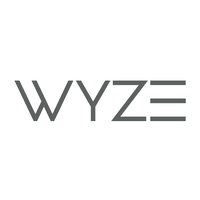 Lead social channel, audience growth strategies, develop and launch social campaigns for Wyze. Foster social conversation and leverage to build vibrant communities. Partner with social platforms to identify new opportunities and develop innovative activation's. Develop and own goals and performance metrics for campaigns; monitor regularly to understand effectiveness of strategy and creative, making recommendations for continuous improvement. Present to senior leadership regularly on campaign plans and results. Continuously ideate and innovate within the social space. Contribute to developing scalable social infrastructure and processes across campaign planning, asset management, performance measurement, ROI analysis, etc. Build and grow user and community base through series of engaging activities. Create a community structure that is welcoming to new users while retaining experienced users, and built a structure to empower core/experience users to be the ambassador of the brand. Daily operation of social media platform, management of UGC. Design and create shareable content, hot topics to drive traffic to key gateways. Create and execute online and offline user activities. Develop 3rd party resources to expand user reach. Build and analysis user/community metrics and report to monitor and drive user/community base growth. Test and measure user engagement campaigns and optimize campaign effect through analytical studies. Gather product experience related insights from users and report back to the product team. The social media marketing specialist is self-motivated and passionate about delivering excellent user experience through active user and community engagement. This person is passionate about building brands and user community on social media. He/she will be responsible for defining social media strategy for launching and building smart home brands, including social media content strategy, engagement strategy to increase brand awareness and sales. He/she will be responsible for driving user engagement, community building, community activities, and UGC (user generated content) management. Passionate and active user of major social media platforms. High energy, bias for action, creative, and agreeable personality. Strong desire to constantly learn and stay current on new social media trends. A great portfolio including a demonstrable expertise in developing strategically grounded, brilliant creative applied in a variety of mediums.